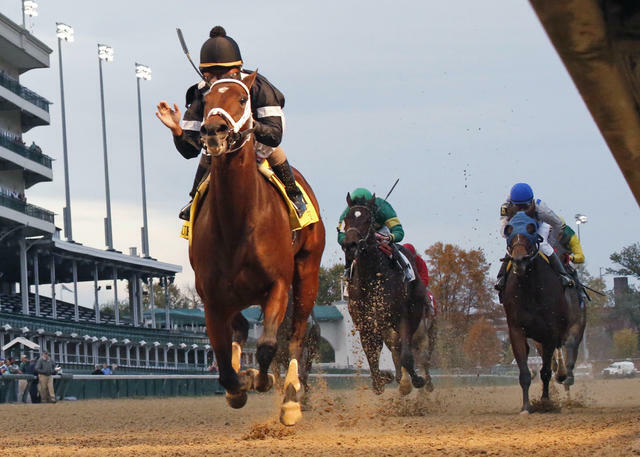 Spelling Again stalked pacesetter Keen Pauline, took the lead leaving the far turn and spurted home to beat Ahh Chocolate by a widening 4 ½ lengths in Saturday’s 30th running of the $200,000 Chilukki (Grade II) at Churchill Downs. 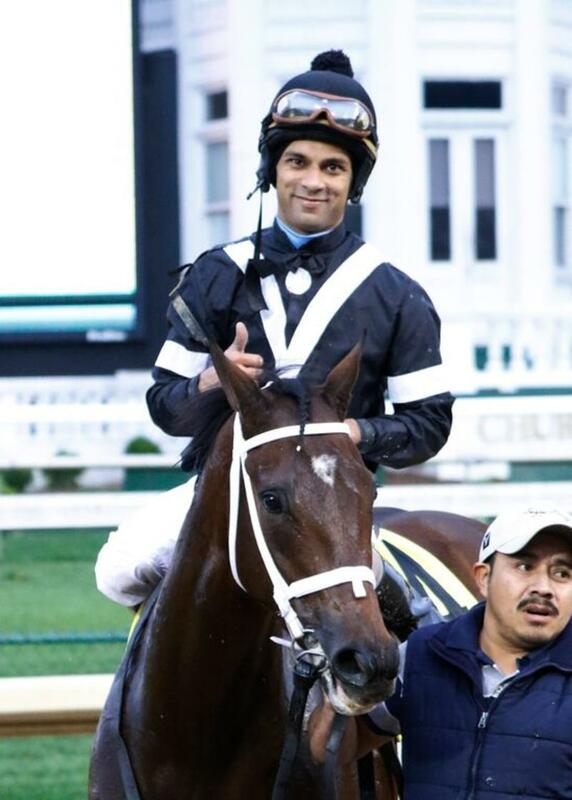 Shaun Bridgmohan rode the Brad Cox-trained Spelling Again in 1:35.75 to beat six other fillies and mares in the one-mile stakes event that was run over a fast track. 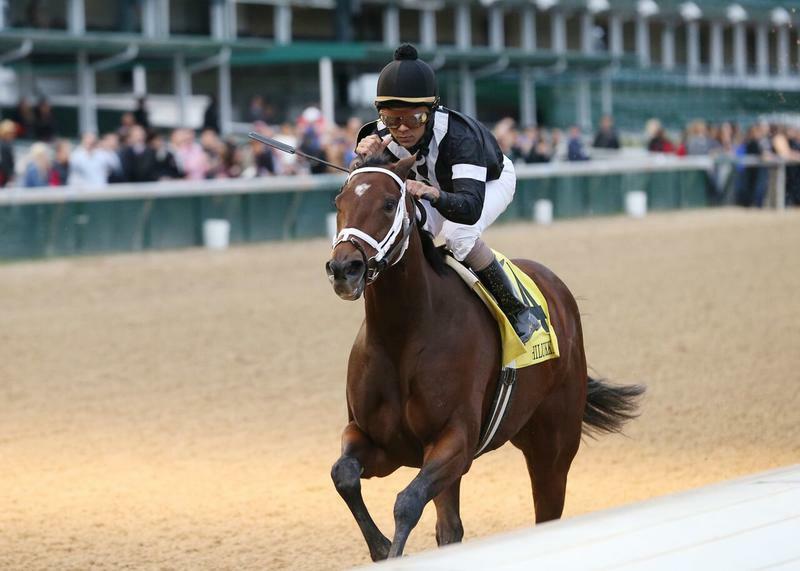 It was the 4-year-old filly’s second stakes win at Churchill Downs this year. In September, Spelling Again won the $100,000 Open Mind which was contested over six furlongs. Keen Pauline led the field through fractions of :23.47 and 1:46.42 with Spelling Again no more than 1 ½ lengths back of the leader down the backstretch. She moved on the pacesetter on the turn for home, grabbed the lead midway around the bend in 1:11.44 and repelled all challenges with a burst of speed down the stretch to win with ease. 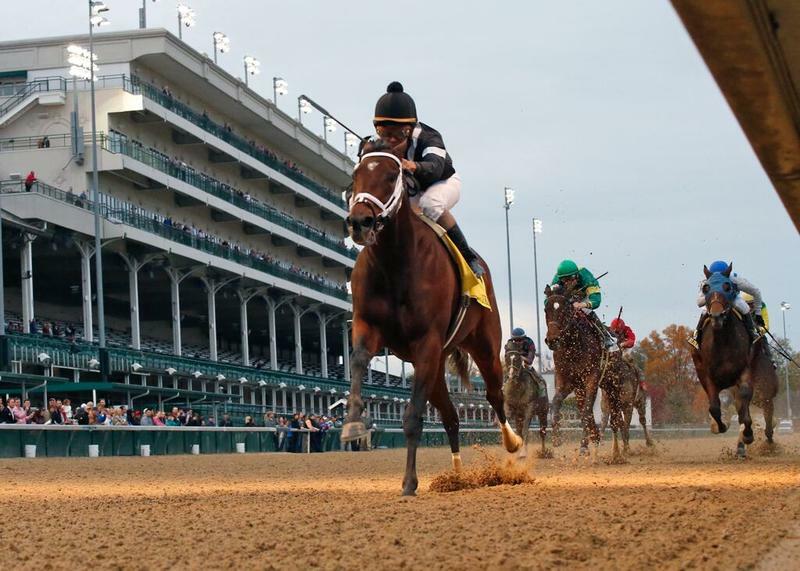 “She’s a very gutsy horse,” Bridgmohan said. Owned by Donald Giffen’s Seajay Racing LLC, Spelling Again banked the $121,520 first prize and rewarded her backers with $8.60, $5 and $3.20 as the 3-1 third betting choice. Ahh Chocolate, ridden by Brian Hernandez Jr., paid $7.60 and $5. Gold Medal Dancer was another head back in third under Luis Quinonez and returned $2.80 to show. Serene Melody, 7-5 favorite Birdatthewire, Ambusher and Keen Pauline completed the order of finish. Shanon Nicole was scratched. Claimed for $40,000 in May and transferred to Cox, this was Spelling Again’s first graded stakes win and third win in her last four starts. Prior to the Chilukki, Spelling Again was fourth beaten two lengths by Fioretti in the $250,000 Thoroughbred Club of American (GII) at Keeneland on Oct. 3. The Chilukki was the biggest win of 35-year-old Cox’s career. Cox is a Louisville native and graduate of nearby Iroquois High School. Overall, Spelling Again has won five of 15 starts and $301,426. Spelling Again is a bay daughter of Awesome Again out of the Alphabet Soup mare Spelling bred in Pennsylvania by George Strawbridge. Known as the Churchill Downs Distaff from 1996-2004, the Chilukki was renamed in 2005 to honor Stonerside Stable’s graded stakes-winning filly who was trained by Bob Baffert. The daughter of Cherokee Run made four starts at Churchill Downs, all of which were victories. Chilukki won the 2000 edition of this race in what would be her final start with a final time of 1:33.57 – a track record at the time.